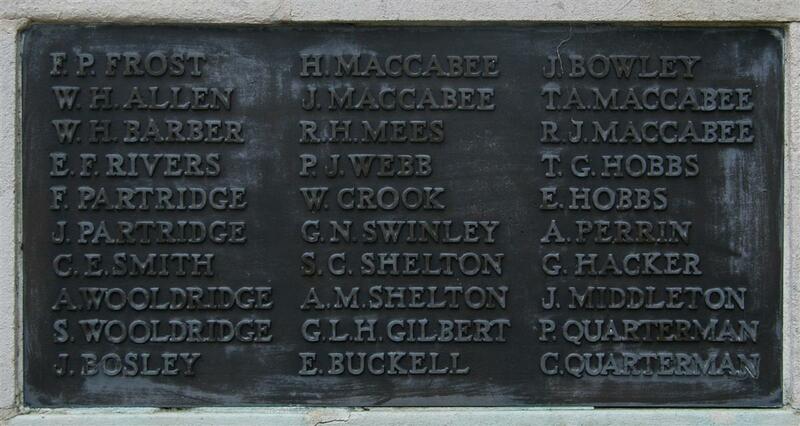 There are two explanations for the name J Maccabee that appears on tablet 2 of the Newbury Town War Memorial, immediately below H Maccabee. Finding two men of the same surname listed sequentially on this memorial usually indicates that they were brothers. The placement of the names was decided by lot, the only exceptions being brothers (listed together) and the first two names: Lorna Ferris (the only woman) and Jack Himmons (Newbury’s first casualty). Of course it remains possible that two unrelated Maccabees were drawn in turn out of the hat – but unlikely. H Maccabee is Harry Haines Maccabee, who had a brother John who survived the war. However, it is not unheard of for a survivor to find his name on a war memorial - Jack Pearce from Chaddleworth is a local example from WW1 and Les Willoughby appears as a WW2 victim on the Newbury memorial despite living to an old age in the town. the school memorial was placed.. The case for this to be John is strengthened by the newspaper report of the unveiling of the memorial to old pupils of Speenhamland School where John Maccabee of the Liverpool Regiment is listed. 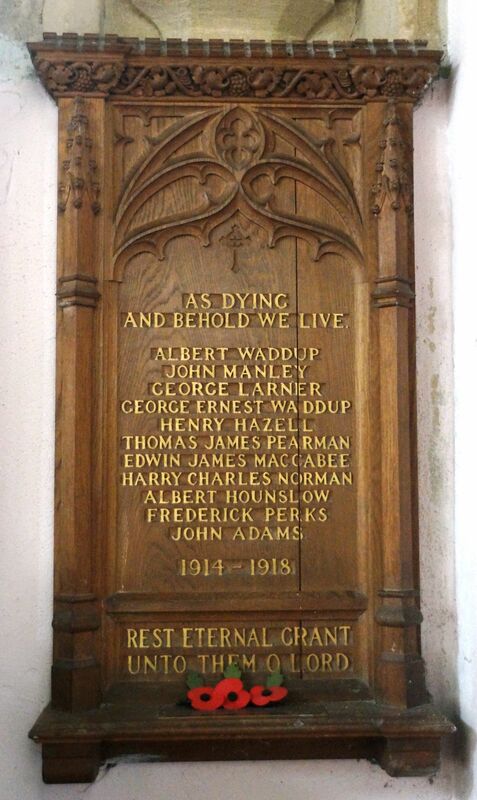 This school memorial was unveiled over two years before the Newbury Town War Memorial and, while the process of selection of names for the Newbury memorial is unknown, it seems that the first step was to collect names from all pre-existing church, school and workplace memorials. Thus John Maccabee’s name would be carried over from the school memorial – it is believed that this is the most likely explanation for the J Maccabee on the Newbury memorial. A counter argument is that the compilers of the names for the Cold Ash memorial (Harry and John lived in Shaw Fields, a part of the extended town of Newbury, but within Cold Ash parish) only listed Harry on their memorial in 1919. They evidently had no information suggesting that John had died. However, John served in the 2nd Battalion of the Kings (Liverpool) Regiment, which was serving on the north-west frontier (Afghanistan) in 1919 – he could have been reported missing (and assumed dead) after the Cold Ash memorial was unveiled and before the school memorial list was compiled. Edwin James Maccabee was born in Newbury in 1881 and was killed in action on 31 July 1917 while serving with the Oxfordshire and Buckinghamshire Light Infantry. Perhaps he was known as James (avoiding confusion with his father Edwin) and thus became the J Maccabee on the memorial. However, although born in Newbury he had left the town many years earlier and had a life with his wife and children in Lower Heyford, Oxfordshire. His father (also Edwin) remained in Newbury until he died in 1907. It is possible that his brother, Frederick, who remained in Newbury until 1911 or later, put his name forward for the memorial, but why not include both initials? Regardless of which was the J Maccabee on the memorial, Edwin’s story deserves telling, as a Newbury-born soldier who perished serving his country at war. Edwin James Maccabee was born in Newbury in 1881, the son of Edwin Maccabee and his wife Elizabeth née Noyes. His parents married in the Devizes area in 1880 where their first child, Helen, was born a few months later. They then moved to Newbury (Edwin senior’s home town) where they lived in Goswell Place, Speenhamland (a terrace behind the Star Inn, London Road). Following the move and Edwin’s birth in 1881 three more children were born: Frederick William (1884), Charles Stanley (1886), and Agnes Elsie (1888). The family then spent a period in Abingdon before returning to Newbury where, by 1894 they had settled at 2 Ivy Cottages (now 16), Railway Road. 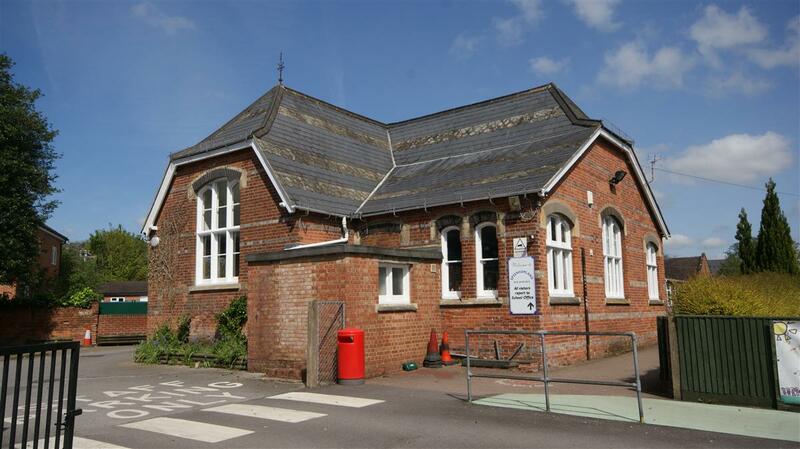 Edwin junior would probably have started his education at Speenhamland Infants School before the move to Abingdon (possibly qualifying for inclusion on the junior school's war memorial). On the family’s return to Newbury he was over ten (then the minimum school leaving age) and would have entered the job market. Newbury children of this age would typically work as errand boys or similar, but no record has been uncovered to indicate what Edwin did. In fact Edwin disappears from the commonly available records for a long period, he somehow avoided being enumerated in the 1901 census. It is not unusual for young man of 20 in 1901 to be missed from that census since the army overseas (including South Africa where the 2nd Boer War was ongoing) was not enumerated. However, there is no evidence that Edwin served in either the army or the navy. By the time of the 1911 Census Edwin was working in Reading as a compositor (probably a linotype operator at a printworks), perhaps working for one of the Reading newspapers. He moved on to the Watford/St Albans area where he was a member of the local Typographers’ Union. This was a skilled job and would probably have involved an apprenticeship. He enlisted in Watford – choosing to join the Queen’s Own Oxford Hussars, a Territorial cavalry unit, and was given the regimental number 3266. The number suggests that he joined in 1915 and was not a pre-war Territorial. On 31 October 1916, when he married Minnie Gertrude Grantham at St Mary’s Church, Lower Heyford; the marriage register records his occupation as a ‘Private in the Queen’s Own Oxford Hussars’. The Queen’s Own Oxford Hussars bore the honour of being the first Territorial Force unit to serve in a theatre of war when they were sent (at Winston Churchill’s instigation) to Belgium as cavalry support to the Royal Naval Divsion on its way to aid in the defence of Antwerp. Churchill was First Lord of the Admiralty but he also held a commission in his local (to Blenheim) part time cavalry – the Queen’s Own Oxford Hussars. By 1916 it was obvious that this was not to be a cavalry war, so a great many of the Territorial cavalrymen were transferred to infantry battalions. In Edwin’s case this meant a transfer to the 1/4th Oxfordshire and Buckinghamshire Light Infantry and a new service number: 7568. It is not clear when he crossed the Channel to join the battalion in the field; it could have been a day or two after his marriage or a few months later. The transfer to the Oxfordshire and Buckinghamshire Light Infantry may well have taken place in France – the process by this stage of the war was for trained men to be sent to Infantry Base Depots in France from where they would be posted to battalions in need of replacements. While there does appear to have been some effort to send men to battalions of the regiments that trained them this would not apply to former cavalrymen getting used to life without their mounts. 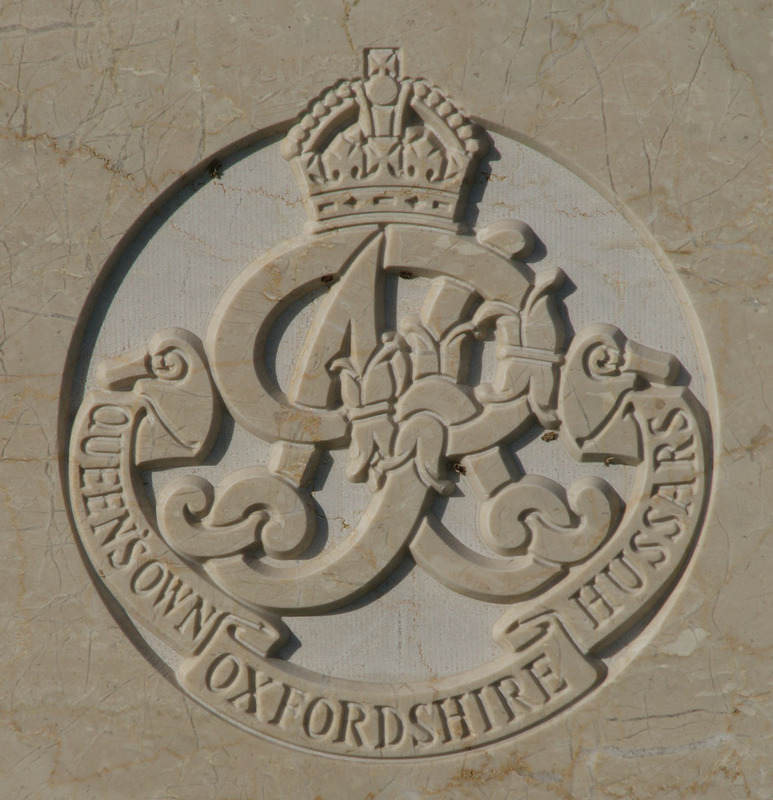 However, the Oxfordshire and Buckinghamshire Light Infantry were the local Oxfordshire infantry regiment and a natural fit with former Oxfordshire Hussars. Indications are that the transfer took place in 1916; certainly before the men given new six-figure regimental numbers in 1917 (Edwin went from 7568 to 203317). On 22 June 1917 the battalion moved from the relatively quiet Somme sector of the front, north to the Ypres Salient, where the precursor to the 3rd Battle of Ypres (commonly, if inaccurately, referred to as Passchendaele) had just taken place at Messines. The first couple of weeks in the Salient were spent in camps to the west of Ypres training for the actions to come. However, before the battalion even moved up to the line there were casualties. On 31 July three men died, one of wounds and two, including Edwin, killed in action. At 1am No3 & 4 sections proceeded to join the remainder of the Coy at HILLTOP SYSTEM. At zero hour 3.50am the company took part in the operations of the 39th Div. The role allotted to the Coy was to create a barrage as indicated in para 1 of OQ No1 from CALF RESERVE TR in the second German line. The barrage was to have commenced at zero plus two hours, but owing to the fact that the orders for moving forward were not secured from 117th Brigade until zero plus 1 hour 40 minutes it was impossible to commence at the official time. Both batteries however were able to fire in the second & third part of the barrage (zero plus 3 hours 40 minutes to zero plus 4 hours 5 minutes, and zero plus 4 hours 5 minutes to zero plus 6 hours 20 minutes). The Company should have rejoined to 48 Division on the capture of the Solid Green Line. As this was not taken the Company remained in position until orders for its relief were received from the 39th Division. At zero plus 16 hours 25 minutes a wire was received from the Div MG Officer of the 39th Division to the effect that the Company would be relieved forthwith by the 228th MG Company. Owing to difficulties of the situation the relief did not take place until 6am the following morning, when the Company proceeded back to the Transport lines. 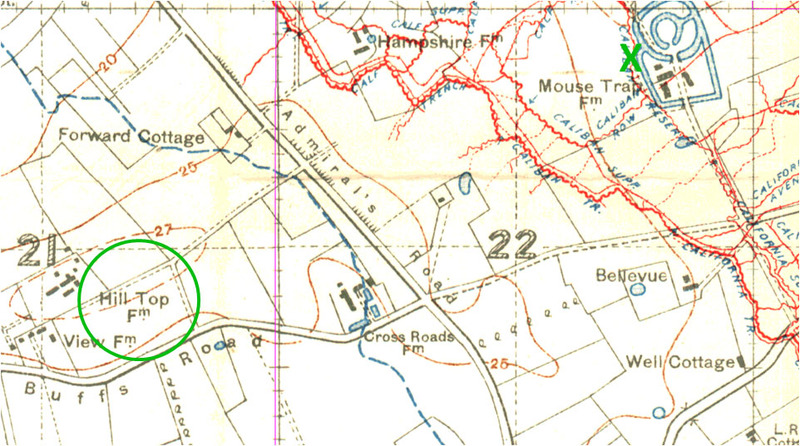 Map of the area showing Hill Top (where Edwin was with his machine gun team) and his original burial location (green cross). British trenches were not printed on these maps in case they fell into enemy hands. The total casualties during the day were: Killed (1 Attd), Died of shock (1 Attd), Wounded 18 (MG), 4 (Attd). With the exception of the delay in commencing the whole of the operations carried out by the Coy were very satisfactory. No difficulty was experienced in maintaining the supply of ammunition & water. One gun was destroyed by shell fire and one slightly damaged. The two recorded as dying were both from the 1/4th Ox & Bucks – Edwin Maccabee and Percy Pidwell. 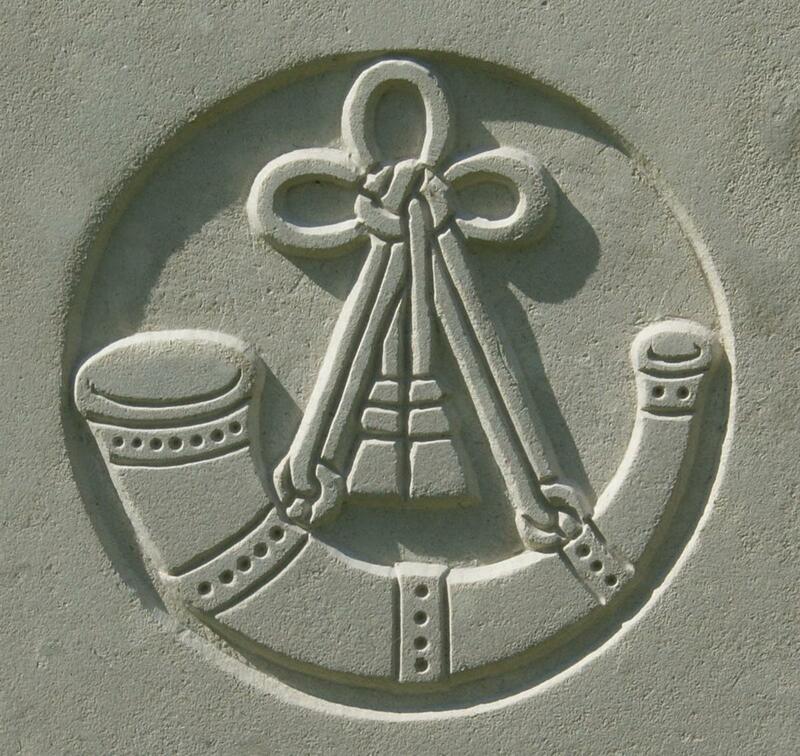 A third man from the battalion, Harry Allen, died of his wounds later in the day. Machine gun crews (there were six men allocated to each gun) were doing a very dangerous job; their weapons were so powerful and influential on the battlefield that the enemy would make every effort to knock them out. Within minutes of a machine gun making its presence known there was a good chance that enemy artillery would be honing in on its position. Edwin was buried (with a cross on the grave) at map reference [Sheet 28] C.22.b.5.8. This original burial spot is alongside (or in) a trench called Mouse Trap captured from the Germans in an earlier assault. This was about 1 to 1 ½ kilometres from where the machine gun company was operating, almost into the German second line they were firing on. He was probably buried there some time after the day he died, after further assaults had moved the British lines beyond the German positions of that day. Several other bodies were recovered from the same spot, suggesting it was a cemetery rather than an isolated burial. It may even be that a redundant trench was being used for burials as the battlefield was tidied up. After the war his remains were exhumed and reburied in grave III. E. 18 at New Irish Farm Cemetery. As already noted it is debatable whether Edwin is remembered on tablet 2 of the Newbury Town War Memorial as J Maccabee; but there is no doubt about his entry on the memorial board and roll of honour in St Mary’s Church, Lower Heyford, both of which record the names of the eleven villagers who fell in the Great War.